Folklore has it that Colonel Giuseppe Antonio Rusconi injured his foot during an excursion into a vineyard situated over Giubiasco, where he owned a cottage house. He loved coming there to flee the slanders and the anger of the people after the Giubiasco Revolution of 1814, which he tried to avoid in every way. After his injury, people started saying “al sa scarpaa un pè” (“he hurt his foot”). From that moment, the place above Giubiasco was called “Scarpapè” and Giuseppe Antonio Rusconi’s cottage, after multiple transfers of land, was bought by the Archetti Family who, after being accused of sympathizing with the fascist regime during the Second World Word, was subjected to harassment. The house burned in a fire. 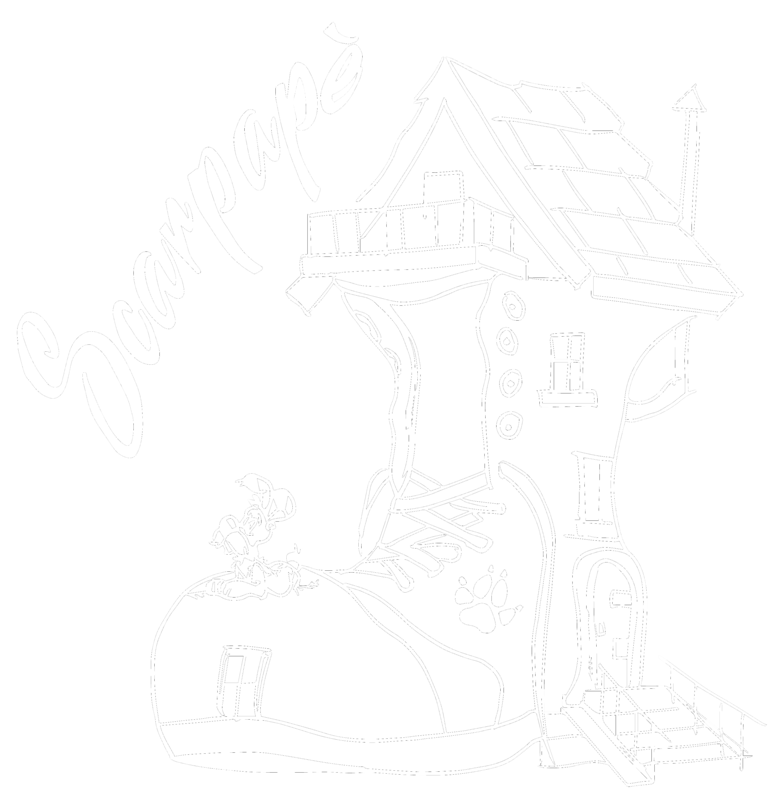 After this sad episode, the land was bought by Ersilio Ostini, also known as “Scarpa” (“shoe”). After considerable efforts, he transformed it in a grotto. In 1984 his son Pietro took the lead and managed the Grotto Scarpapè until 2013. That year the restaurant closed, and restoration began to transform it into holiday apartments. Pietro’s daughters Febe and Ella are now helping him run the new family business.